Good morning and welcome to week 6 of Countdown to Christmas with Sandi & Friends! This week's project coordinates with last week's Polar Party card with the accent color still being red (nice, birght and fun, traditional holiday color)! But not just any red....GLIMMER red! The Glimmer Paper sparkles like diamonds --- BLING!!!! And I've also added Dazzling Details again to the cute little penguins and the decorations on the center tree, as well as the snow fall at their feet! This gift box features the cute penguins from Polar Party and the Northern Flurry Textured Impressions Folder to add a soft, subtle texture to the box top area. This week again I used Watercolor Pencils to color in the artwork. I did not use a Blender Pen this time to blend the coloring. 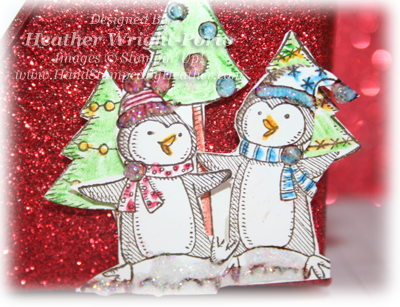 Next, I stamped and CUT OUT the trees and the two penguins. This is so I could layer then on top of one another (this is instead of using the Masking Technique) with Stampin' Dimensionals to add more dimension to the project. Just a mention of Blog Candy to come…..make sure to leave a comment on my blog and those of the other Artists and you will have a chance for lot’s of Blog Candy….start leaving comments today and we’ll be drawing from all the Friday Countdown Comments for some fabulous Blog Candy at the end of the Countdown. please visit the design team! Fantastic job. I really look forward to Fridays when I get to see what great Christmas projects you all have made. 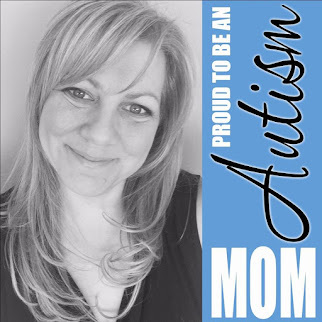 whoo hoo, how absolutely darling is this little creation, i LOVE it......and love your coloring too, thanks so much for joining us again this week and sharing your talent with us. The penguins are just too cute! Love the red glitter paper. I think I know what I'm doing this afternoon. CASE-ing everything! Thanks so much for sharing with the rest of us. Thanks for sharing your talent. I am having so much fun seeing all the artist's creations of the same projects. Love your use of the little penguins on your project. The "glitter" of the "glimmer" is amazing. Very cool showing how to use the box top & bottom... both ways up and down.Thanks to you for your talents!!! Hugs from Shelagh. Very beautiful box. Cute snowmen. Thanks for sharing. So cute. Really do like all the glitter and shine; perfect for Christmas. What a great box and cute penguins. Your colored penguins, decorated trees and red glitter paper all make for this awesome gift box. It's been a great blog hop! Love it! Those little penguins are precious! Love the box and penquins. The red glitter makes it all pop. Enjoying the hop. So cute! Another great job! 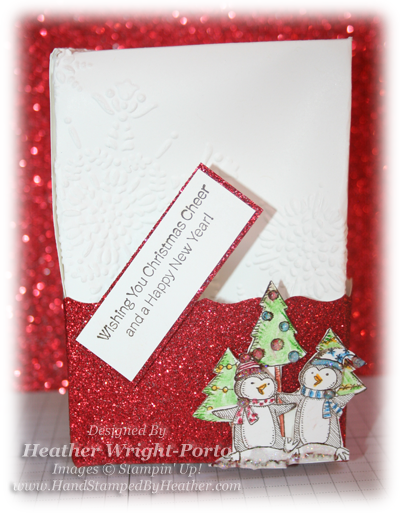 Love the red glitter paper and the use of the Northern Flurry embossing folder. Great box! I think it is time for me to get out my pencils again. Thanks for sharing the cute and sparkly card.